In this new nice chapter of the saga of the orientation of inclusions in diamonds Paolo Nimis proposes the mechanical interaction between euhedral crystals in a fluid-rich environment as the most likely mechanism to produce the observed rotational CORs for these Mgchromites inclusions in diamonds. In this scenario, neither a rotational nor a random COR can provide information on the relative timing of growth of Mgchr and diamond. 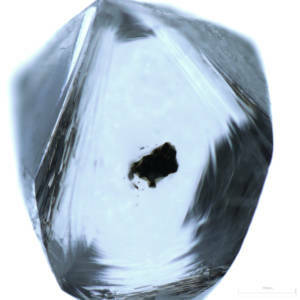 However, Some multiple, iso-oriented inclusions within single diamonds, indicate that mchr was partially dissolved during diamond growth thus suggesting a protogenetic origin of these inclusions. The manuscript has just been accepted for publications in Contributions to Mineralogy and Petrology and is available at this link.